We received our best audience feedback ever after the 3rd Annual Ultimate Culture Conference. For the first time, one specific speaker insight stood out and was highlighted by numerous attendees. What was this insight about leadership and culture? Why did it resonate so much? I think it’s a sign of the times as culture transitions from a subject of interest for many to the sustainable driver of effectiveness that many feel compelled to nurture, develop or change. Dr. Peter Fuda, Founder and Principal, The Alignment Partnership and Adjunct Professor, Macquarie Graduate School of Management, delivered a captivating presentation titled, Make an Impact, Influence Others and Transform Results. Dr. Fuda was in the middle of his presentation, and the audience was hanging on every word. He said, “We’re all motivated to do this work. Now here’s the problem: You can’t motivate anybody to do anything they don’t want to do. Why? People will tolerate the conclusions of others, but they will only act on their own conclusions.” We’ve all experienced this dynamic in some form. It might be a discussion with an individual or team about a change or another subject that is unbelievably clear…to you. You’ve tried every approach in the book to build some understanding, define the case for change, and engage in a dialogue that truly helps. Sometimes it works; sometimes it’s endlessly frustrating. Many people use 360s and other instruments to help define a gap. Dr. Fuda explained that he utilizes a hundred different instruments in his business transformation practice, but there is only one third-party instrument he uses to help leaders visualize the gap. He described it as “the best leadership instrument in the world,” and it’s called Leadership/Impact® (L/I).1 “Leadership/Impact® basically asks two questions. Ideally, how would you like to motivate and encourage those you lead to behave (their Ideal Impact)? It's asking you what is your leadership vision. You are setting an aspiration, and then the 360 surveys go out and you get feedback from others and they tell you how you are actually motivating and encouraging them to behave (the second question, which reveals their Current Impact).” The results are plotted on a Circumplex so they can be visually compared. Leadership/Impact® Circumplex. Research and development by Robert A. Cooke, Ph.D. and J. Clayton Lafferty, Ph.D. Copyright © 1989-2017 by Human Synergistics. All Rights Reserved. Not only do leaders consistently report these Constructive styles (blue) as being ideal; they systematically view the Aggressive/Defensive (red) and Passive/Defensive (green) styles as inappropriate and not to be encouraged. In general, their ideal profiles show minimal or non-existent extensions along Passive styles such as Dependence and Avoidance and, at most, moderate extensions along Aggressive styles such as Competitive and Power. 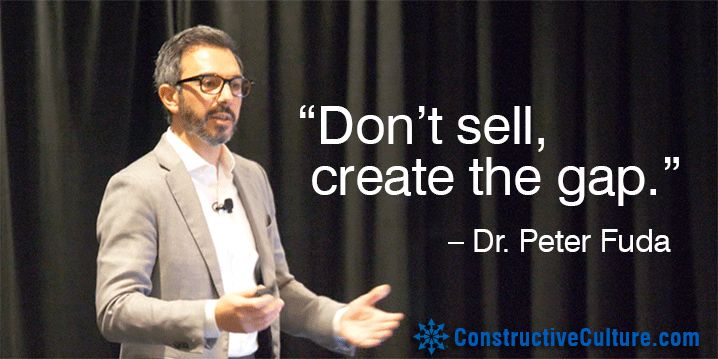 VIDEO CLIP: Dr. Peter Fuda on the impact of leaders and the constructive cultures they help shape. “Don’t sell, create the gap” may sound obvious on the surface, but there is some history behind the structuring of assessments to enable this approach. 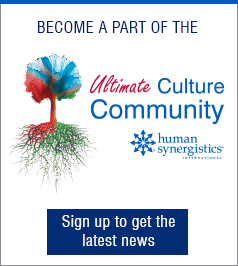 I talked to Dr. Robert Cooke, CEO of Human Synergistics and author of Leadership/Impact®, about this history. His interest in “creating the gap” goes back to the development of the Ideal Culture version of the Organizational Culture Inventory® (OCI®).3 In the OCI-Ideal assessment, leadership and other members of the organization define the behaviors they believe should be expected to maximize effectiveness and enable the organization to reach its goals. The OCI-Ideal profile is compared to results on the original version of the OCI, which measures the current culture of an organization in terms of shared behavioral norms—that is, the behaviors that members believe are currently required to “fit in” and meet expectations. The approach of “creating the gap” has proven far more effective than trying to “sell” leaders on a certain culture. To reiterate Peter’s point, people only act on their own conclusions. Providing them with a side-by-side comparison of the culture or behaviors they’re reinforcing versus those they’d ideally like to drive allows them to reach the conclusion for themselves—and creates the gap in a very real way. Watch this 10-minute video excerpt of clips from Dr. Fuda’s presentation and learn more about his work at www.PeterFuda.com. Learn more about the Leadership/Impact® assessment referenced in this post. 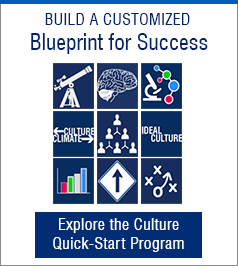 Check out our new Culture Quick-Start Program and use of the Organizational Culture Inventory®. Join our Ultimate Culture Community for access to all the videos from the first two Ultimate Culture Conferences and new videos from the 2017 conference, which will be rolling out over the next six months. 1 Cooke, R. A. (1996). Leadership/Impact® (L/I). Plymouth, MI: Human Synergistics. 2 Fuda, P. (2013). Leadership Transformed: How Ordinary Managers Become Extraordinary Leaders. New York, NY: New Harvest. 4 See Chapter 3 (“Master Chef”) in Fuda, P. (2013). 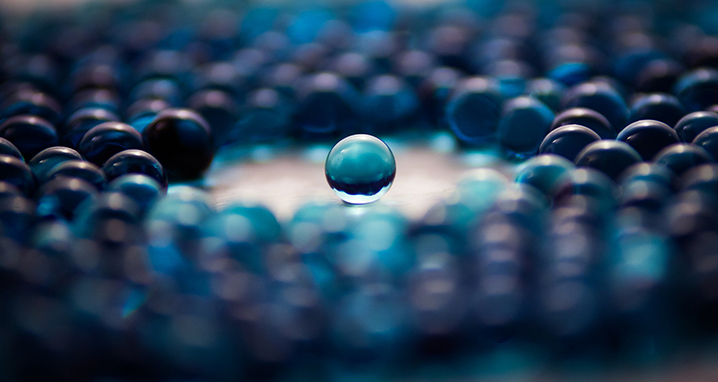 Leadership Transformed: How Ordinary Managers Become Extraordinary Leaders. New York, NY: New Harvest.